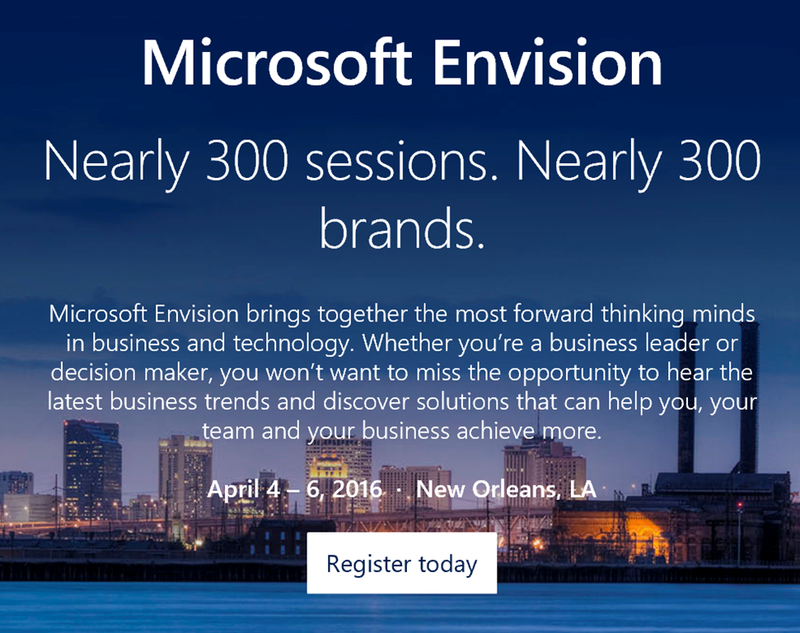 If you missed Microsoft Envision 2016 in New Orleans, you can still catch up via the online recordings of the event from the keynote to the breakout sessions. Take a peek at the latest agenda and see what’s in store at Microsoft Envision. You can watch the opening session, as well as many other general and breakout sessions on-demand approximately 48 hours after the conclusion of the sessions on our Microsoft Envision YouTube channel. Bookmark it and access a wealth of informative and thought-provoking content right at your desktop or mobile device.